Does science need to be entertaining for mass-market entertainments? Are you fascinated by how science is represented in mass-market entertainment? Do you find yourself agreeing with, or laughing at, the science depicted in television, movies and computer games? I really enjoyed the 2011 movie Contagion which told the story of a fictitious virus pandemic and how it would affect people’s lives. It was widely praised for its scientific accuracy, but my non-scientist friend told me that he found it frustratingly slow. When I explained that the film faithfully reflected the technically difficult and laborious process of medical research, he pointed out that this was “probably why competitive vaccine production failed as a spectator sport”. Sarcasm aside, my friend made a good point. Is there such a thing as too much accuracy in storytelling? How much artistic licence is appropriate for film, TV and computer games makers to take with scientific detail in order to widen dissemination? When does increasing accessibility cross into the realm of ‘dumbing down’? My interest was further piqued by taking part in Make Something Unreal Live, a Wellcome Trust-sponsored competition that challenged game design students to produce a computer game inspired by genetics. Could putting real science at the very centre of a game change it for the better, or would it simply constrain the gameplay? My role was to be a judge at the preliminary selection stage of the competition to choose 4 ideas to be developed into working computer games from 12 shortlisted pitches. One of the concepts was a really intriguing approach called Beings by Team Summit from the University of Abertay. Aimed at younger gamers, the titular Beings are incredibly cute rabbit-like creatures that hop around with a wobbling jelly pot on their back. The game play involves finding mates to breed more Being offspring. The genetic twist is that each Being has traits, like fire resistant or waterproof skin, that are the product of inherited dominant and recessive alleles. The player needs to choose their mates carefully – across multiples generations – to produce Beings with advantageous combinations of inherited alleles so that they have the right traits to navigate their environment safely. In essence Beings introduces Darwinism to five-year old children (Richard Dawkins, eat your heart out). Naturally I was hooked, and I offered to be their scientific mentor over the following months as their game took shape. At our first meeting I was impressed that the team already had a solid understanding of Mendelian genetics. This was due, I learned, to their producer having previously studied medicine. So, with the basics already covered, our discussions instead revolved around balancing scientific rigour with accessibility. For example, one key consideration was how the probability of allele inheritance should be calculated for each litter of Beings. For this I drew upon my own experience in mouse genetics. To my occasional frustration, by chance alone, a litter of 10 or 12 mice can be born without a single animal having the desired combination of recessive alleles. This is despite each individual pup having a 25 per cent chance of having that very combination. It would be scientifically satisfying and entirely accurate if – in accordance with Mendelian inheritance – progress in the Beings game would sporadically stall through no fault of the player. However, this is not what happens in the game. The team decided to slightly constrain allele inheritance within their game engine, so at least one Being with an absolutely necessary combination of traits would always be born. 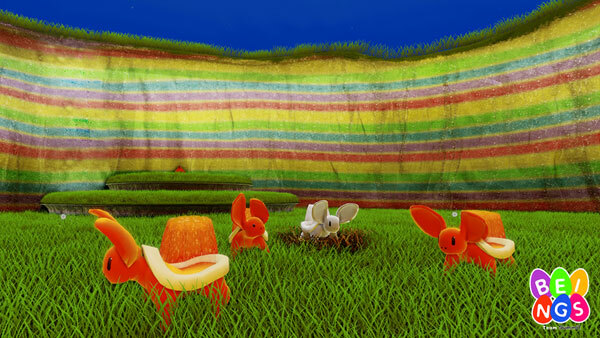 Does this elegant fudge undermine the point of developing a genetics-inspired game? Was scientific accuracy sacrificed needlessly? I don’t think so. A golden rule of game design is to always maintain a sense of fairness. Children are unlikely to persist with a game when their progress is consistently cut short by a genetic lottery. The purist in me initially baulked at this compromise, but it soon became clear that artificially protecting the Beings from extinction was necessary to ensure the other genetic principles – dominance, recessiveness and natural selection – could all be faithfully incorporated into the game’s core dynamic. Beings is certainly a better games as a result, and what purpose does a 100 per cent scientifically accurate, geneticist-approved game serve if nobody is interested in playing it?